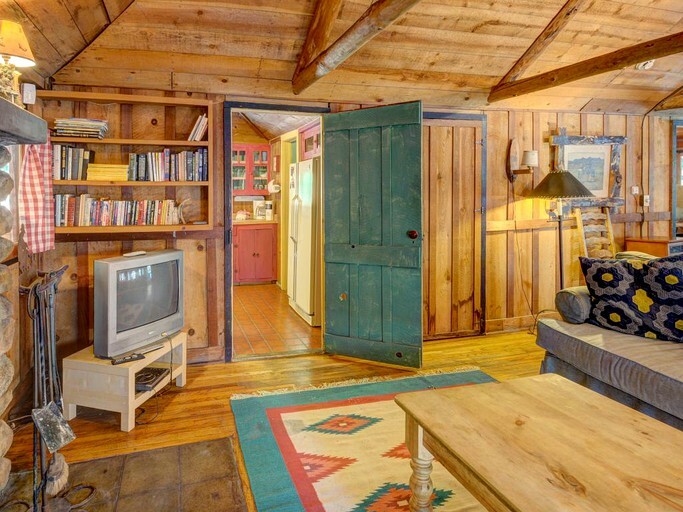 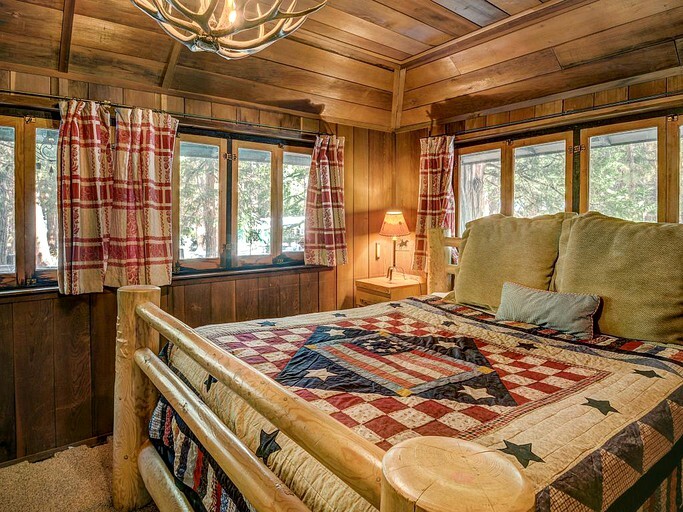 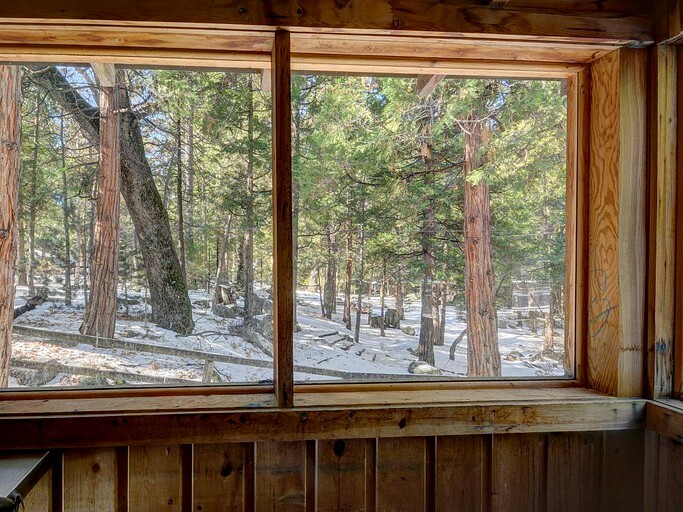 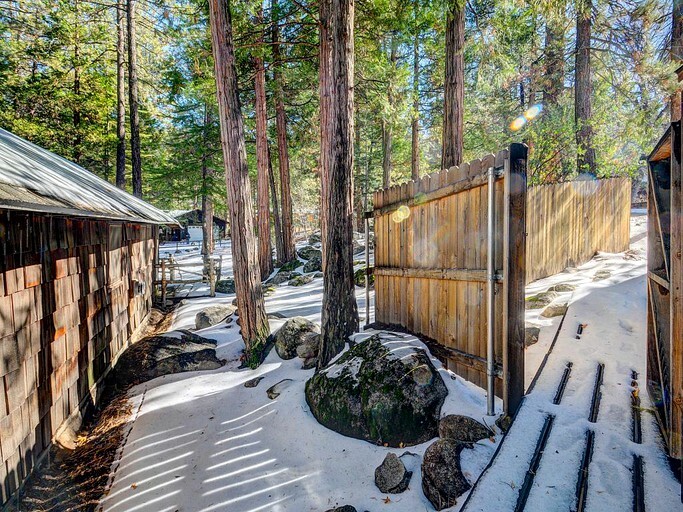 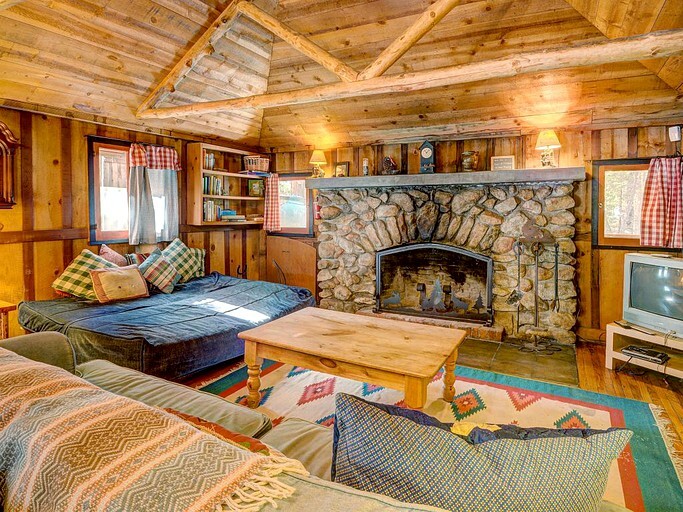 This cozy cabin rental near Idyllwild, California, boasts a stunningly rustic interior while also providing guests with modern appliances and the luxury of a private hot tub. 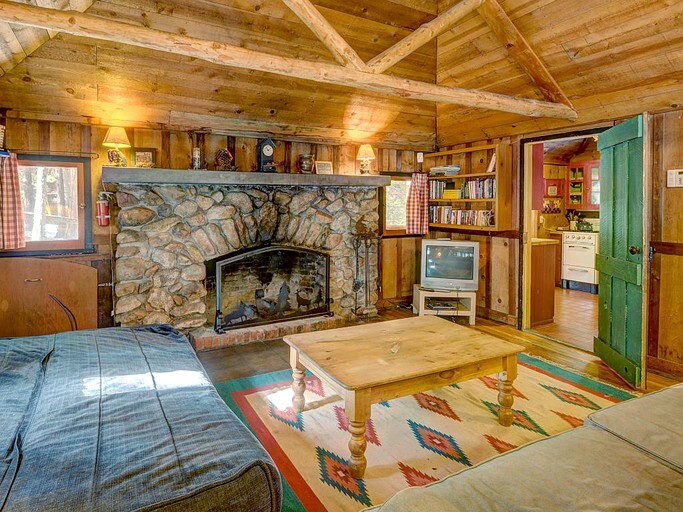 On a cold winter day, guests can pop a log on the fire while gathering around to play or board game or watch their favorite DVD. 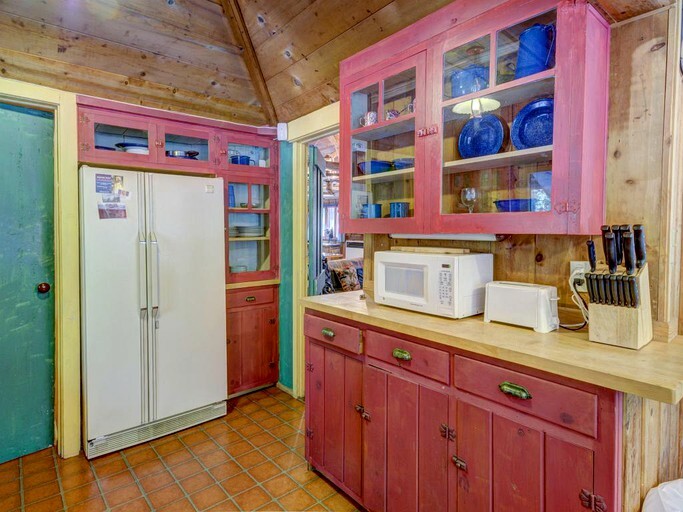 The kitchen is fully-equipped, ready for those looking to cook up a storm. 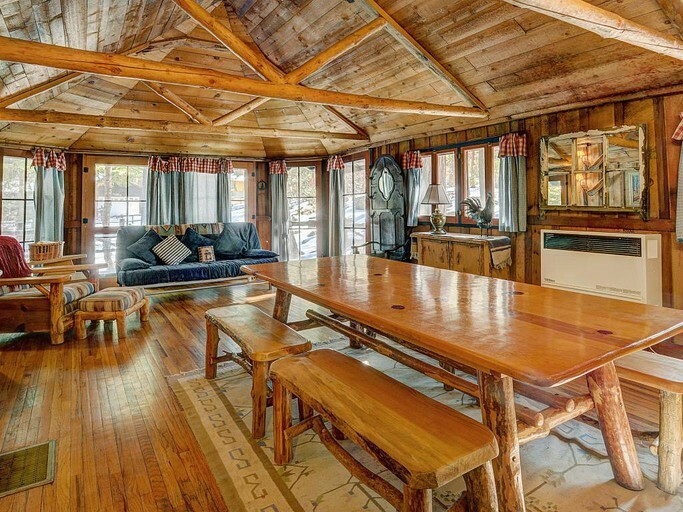 In the hot summer, guests can head out to the decking while cooking on the grill, or sinking into the hot tub surrounded nature's beauty. 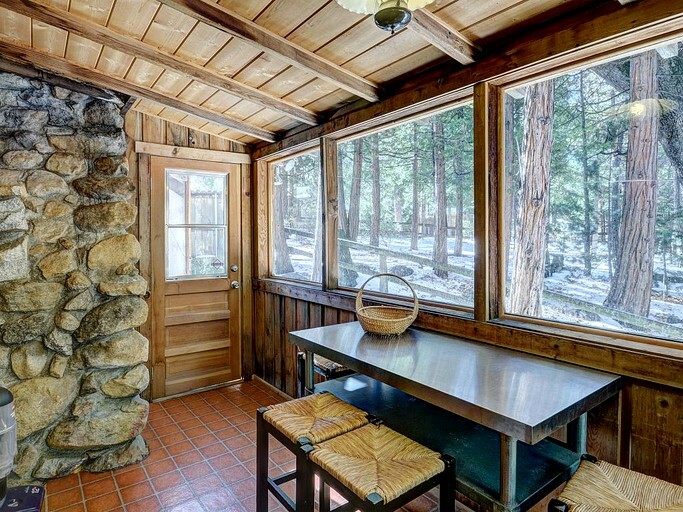 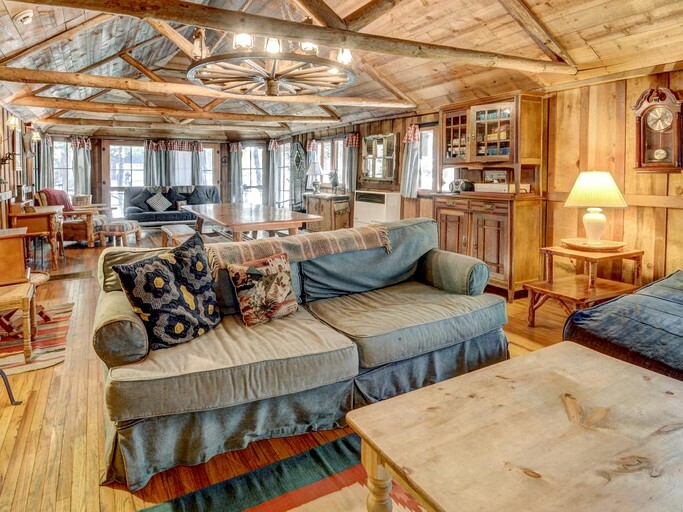 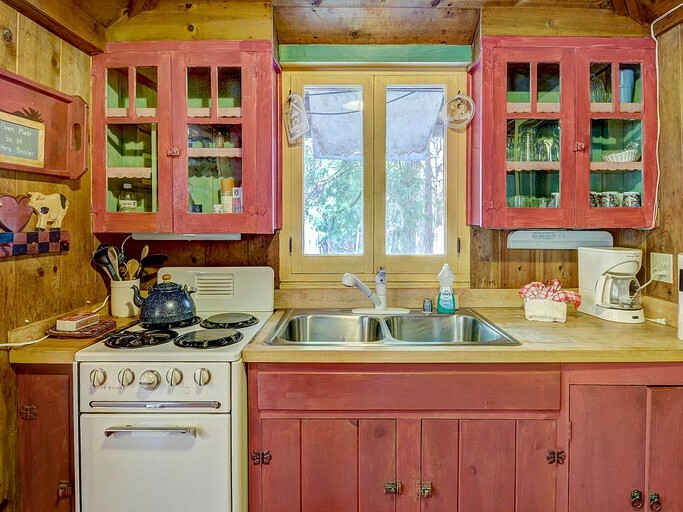 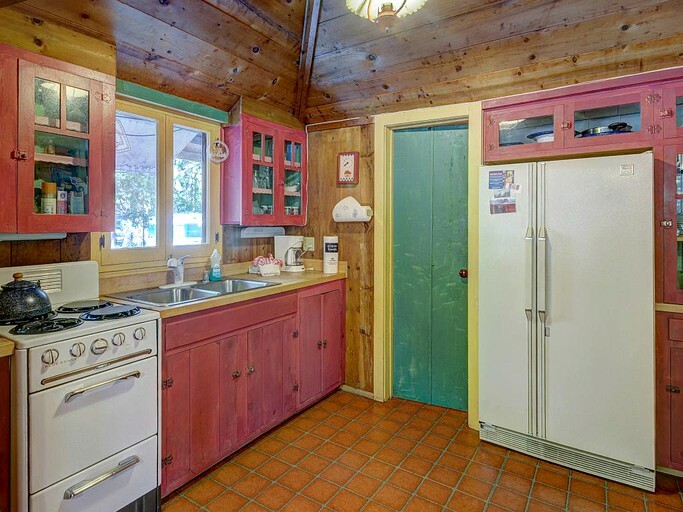 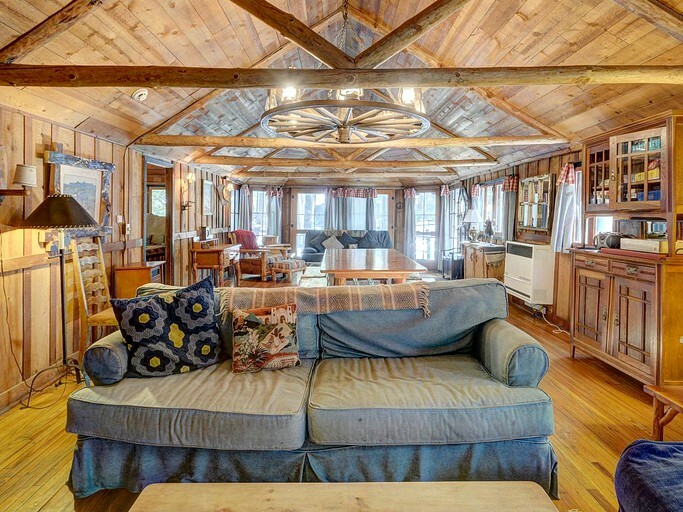 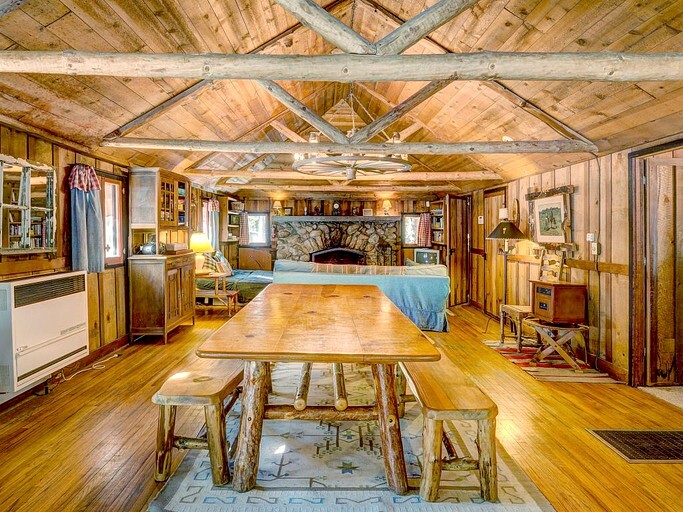 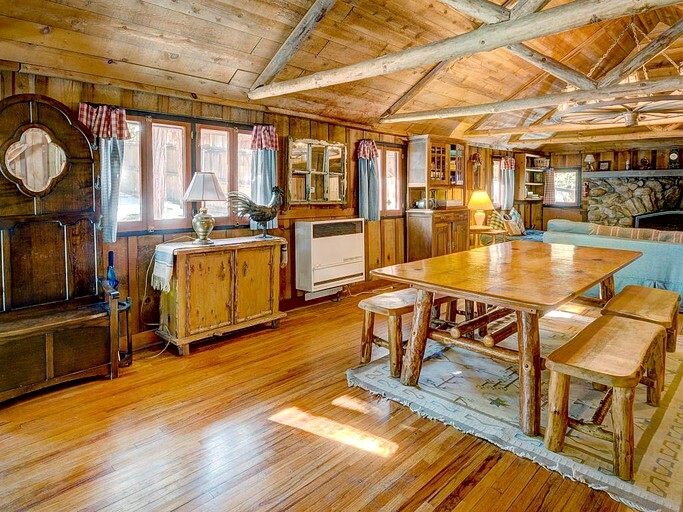 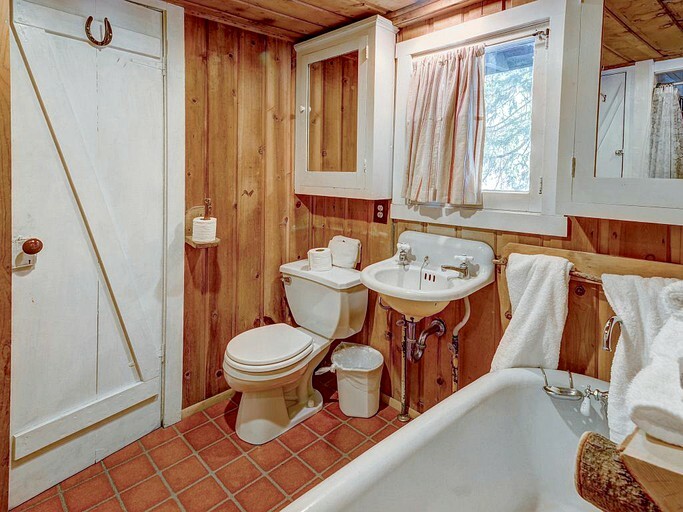 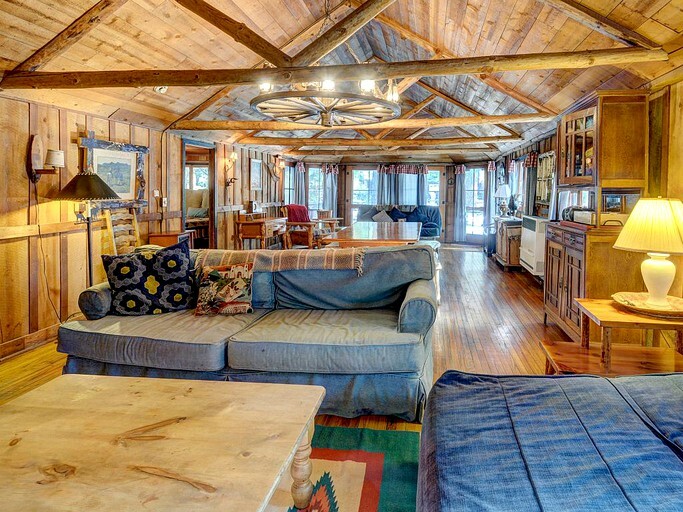 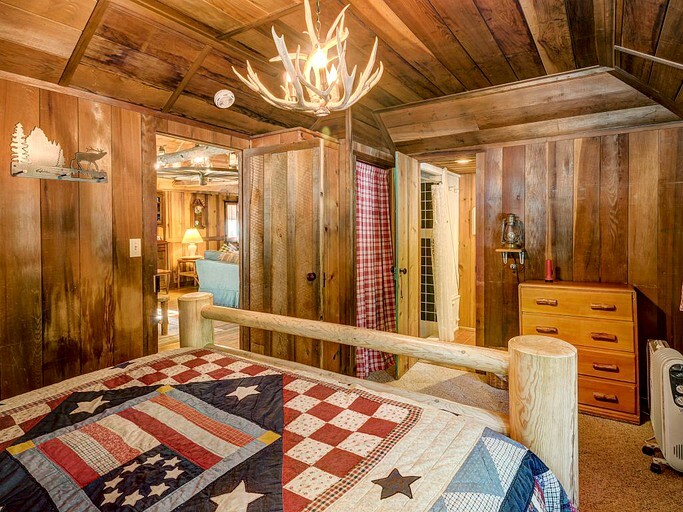 This rustic cabin is fitted with modern appliances for a stress-free getaway. 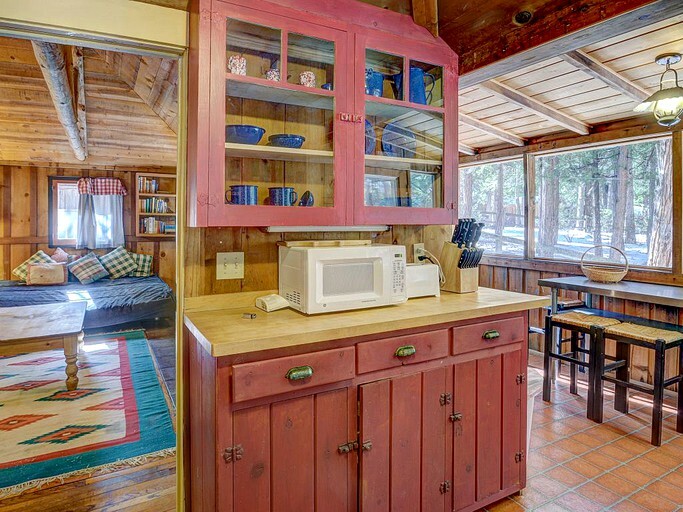 The fully-equipped kitchen provides everything needed to whip up some delicious meals and there is an outdoor grill to cook on in the warm evenings. 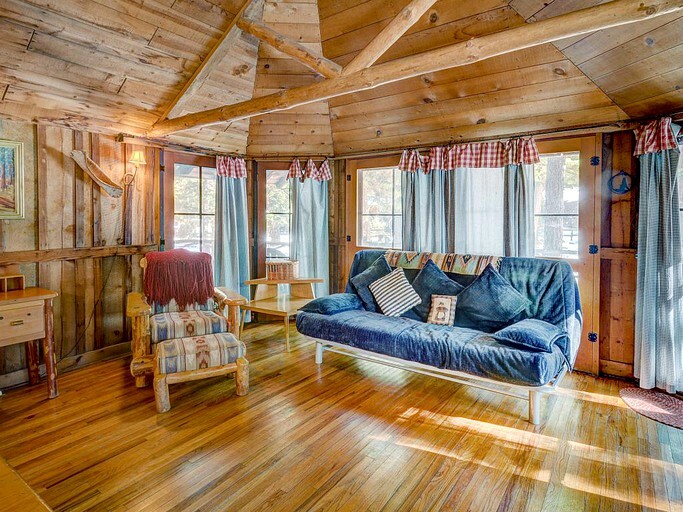 There is no internet access giving guests the chance to unplug and spend some quality time together; however, there is a TV with a DVD player for relaxing evenings in. 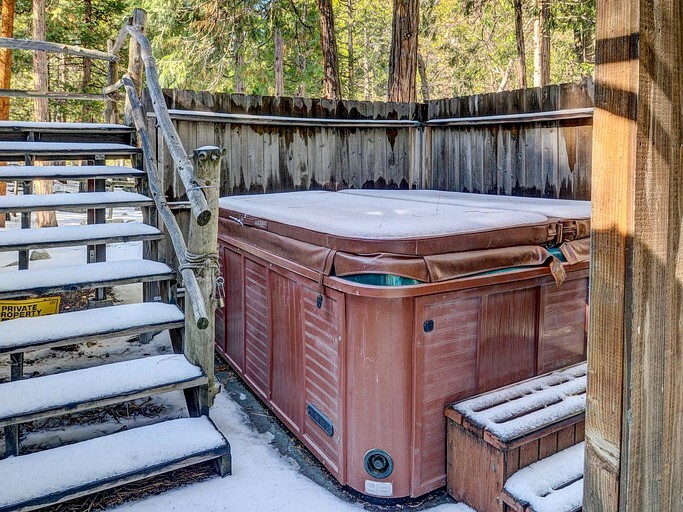 Guests also have the luxury of sinking into the outdoor hot tub while immersing themselves in the sounds of nature. 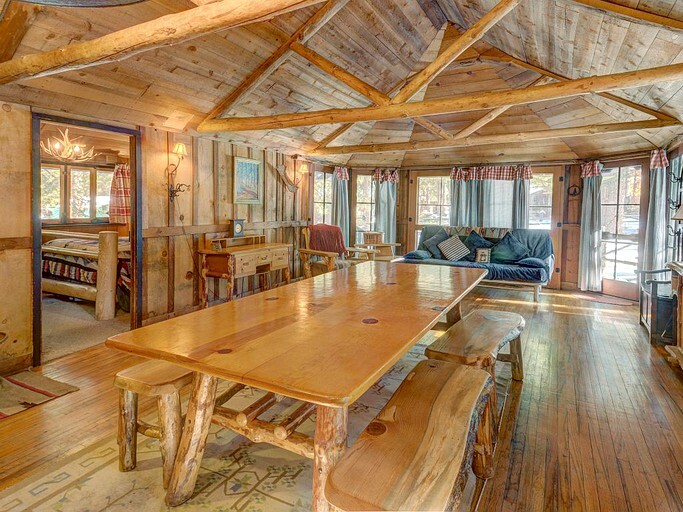 There is an abundance of trails and paths ready to be hiked or biked on from right outside the front door. 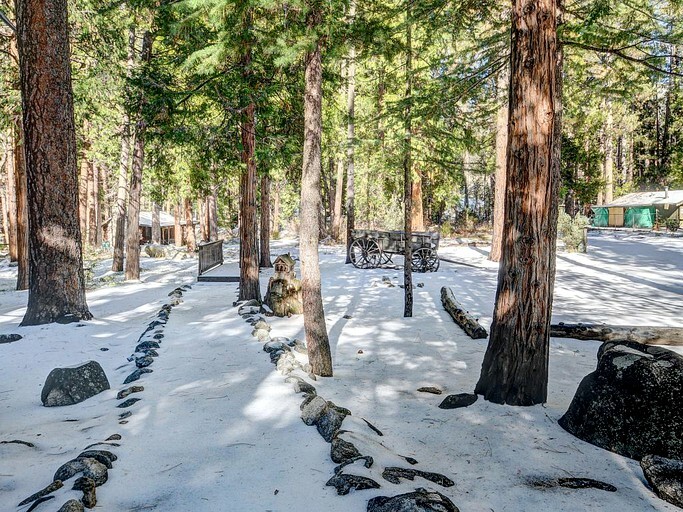 The San Jacinto Mountains create a stunning backdrop and are easily accessible. 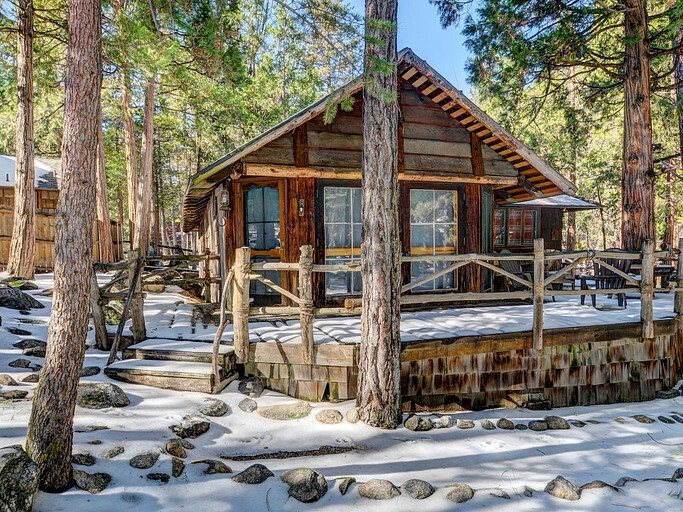 There are also several towns nearby. 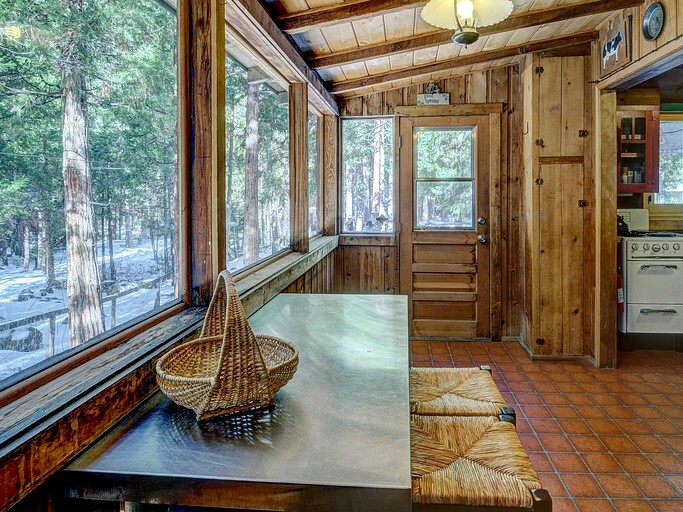 Idyllwild offers guests restaurants, shops, a theater, and more. 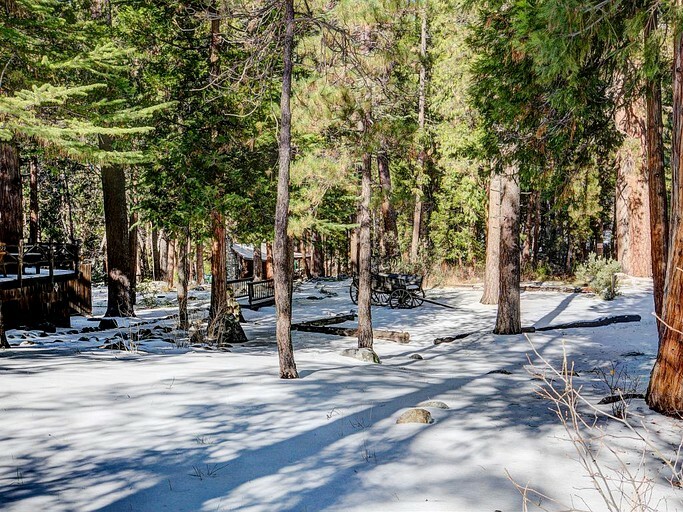 Just eight miles away lies Hemet Lake, where guests can have a go a paddleboarding or swimming to cool off during the hot summers. 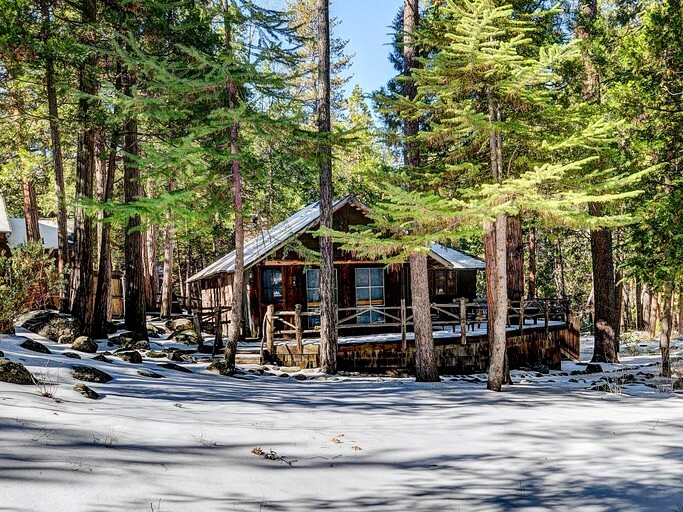 Hemet City also provides numerous activities and is perfect for a family day out to keep everyone entertained.